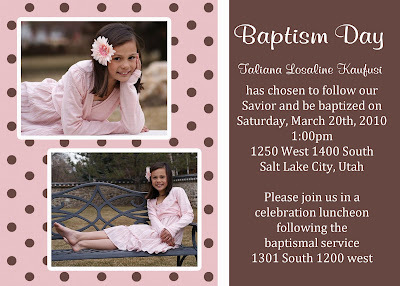 Taliana was baptized by Jason and confirmed by her Grandpa Taylor (Papa T). It was such a special day. I'm happy to say that I'm so happy it is finally over and done with. I prepped for it for 3 months. I made a quilt for her (pictures will be posted later - when I actually take some). It was the hardest quilt I have ever done, but loved every minute of it. I wish I had taken more photos of her special day, but we all know how hectic things get when we have get togethers, so... here are a few of the photos that document her special day. Where has the time gone? My sweet Taliana turned 8 years old on March 5th. (yes, I am finally getting around to posting it). I surprised Taliana and took her to California for the day. I woke her up bright and early at 4:30am and told her to get dressed. I had her outfit laid out - a skirt a made special just for her. And a matching skirt for her American Girl Doll. I told her we were going someplace special just her and I. Jason dropped us off at the airport and we boarded the plane to Los Angeles. Once we arrived we got our rental car and headed towards The Grove. I told her we were looking for someplace to eat breakfast. However, I forgot that it takes about an hour to travel 10 miles in LA traffic. Once I found our destination spot (American Girl Place), I drove in front of the store and asked her if she would like to go in that store after breakfast. She was drawing in her notebook and just said, "okay". Then she looked up and read "American Girl Place" and started screaming! Just the reaction I was looking for. hahahah! She begged, "can we go in there, please, please, please?" The store didn't open for another hour. Thankfully it is next to Farmer's Market (yummy), so we found our parking spot and headed over to Farmer's Market for breakfast. Then it was off the American Girl Place. We were the first ones in the store. I have to admit, I think I was a little more excited than Taliana. I wanted to buy everything I saw! I thought to myself... "why didn't I bring more money??" hahah. But then I remembered we were there for TALIANA'S special day. We walked around the store and looked at everything before Taliana started making decisions of what she wanted. They had a little cafe in the store (this was the waiting area), but we both thought it was a bit pricey and Taliana would rather use her money to buy clothes and accesories for her doll. Is that decor so cute? I would LOVE to decorate Taliana's room like that. I know.. kind of over powering, but I still love it! After about 3 hours in the store, we finally made our purchases and walked out. (honestly... it was hard for me to leave without buying more stuff). The store was located in an outdoor mall (similar to Gateway) so we walked around for a little bit. It was nice to just spend time with Taliana. We had great conversations and picked out stuff we would LOVE to buy when we were both rich and had ALL the money in the world. hahaha. We couldn't leave Cali without a quick trip to the beach. We headed over to Santa Monica Pier. It was my first time, and definitely not my last. Taliana rode the rollercoaster and we both rode the Ferris Wheel. It was so beautiful to look out at the ocean high on the Ferris Wheel. We also had a great view of Malibu. Hmmm... it would be nice to have a beach house over there. hahaha. Then we headed over to CPK (California Pizza Kitchen) for late lunch/early dinner. Yes, I know we have a CPK here, but Taliana wanted pizza and that was the easiest thing to look for. It worked out perfectly because it was at another outdoor mall. PERFECT! So, after eating we went shopping again. (window shopping, that is). It was a perfect day! I loved spending alone time with Taliana. I think I will make this a tradition on all my kids' 8th birthday. I loved it!